Unlimited build options. More operational flexibility. More opportunity. The Axios system enables you to design, build, and employ the ultimate warning light solution. No-tools convenience makes building, reconfiguring, or upgrading your lightbar fast and easy. Configure Axios on the spot to meet your exact needs and put your vehicle to work the same day. No more waiting on factory schedules and shipping times. Experience on-site, on-demand assembly today. 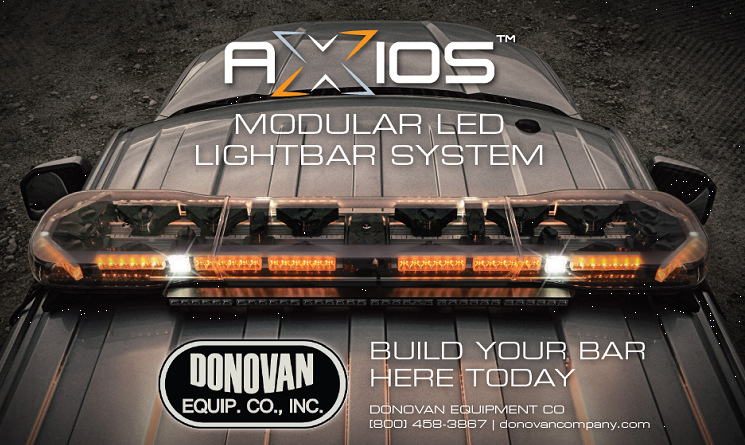 Axios combines advanced materials, cutting edge design, and innovative product engineering for ECCO's R&D headquarters to create the world's first modular LED lightbar system. Patents pending. Axios, like all ECCO products is built to a highter standard . ECCO abuses Axios in their labs and in the most extreme real world environments so you can confidently depend on it in the harshest of conditions. Step 1: Choose your chassis length - 5 different lengths available: 39", 48", 54", 60" or 72"L. Chassis includes snap on cover lenses, a controller, an 8'L controller extension harness, a 15'L power harness and a permanent mount. 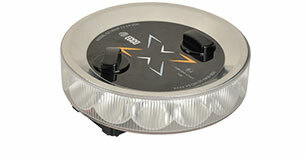 The Directional Light module features 6, high-performance 3W LEDs and wide-angle TIR optics. The lights and optics coupled with the ability to adjust output direction ensures full 360º SAE Class I, California Title 13, and ECE R65 compliance. 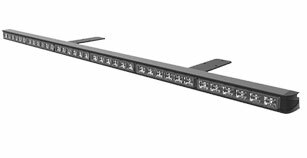 Each module provides a uniform 120º horizontal beam and can be positioned anywhere along the power rail: in the front, rear or corners (at 45º). Utilizing the same 900 lumen, flood beam design as the work light module, these lights are specifically intended to shine light to the sides of the vehicle. 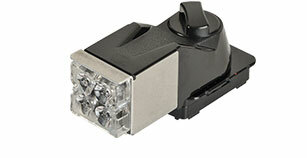 They are ideal for illuminating alleyways, finding pallet locations or identifying building numbers in dark conditions. These flood beam work light modules feature 4, 3W LEDs that project 900 lumens of bright white light to illuminate your work scene after nightfall. 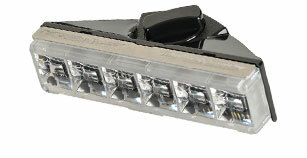 Work light modules can be mounted facing the front or rear anywhere along the length of the lightbar. The S/T/T light modules operate in conjunction with the vehicle’s tail, brake, and direction indicator lights to provide supplemental, high-level warning of vehicle movements. The S/T/T modules are especially useful for dangerous on-highway applications or where your factory installed vehicle lighting may be obscured. ECE R6 & R7 compliant. 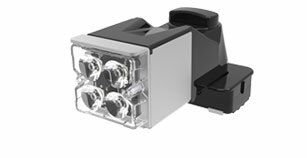 14 high-performance 3W LEDs combined with a reflective internal housing and lenticular optics deliver full 360º warning in a single unit. The beacon module can be programmed to flash in unison with directional warning modules and also includes a simulated rotating warning signal. SAE Class I, California Title 13, and ECE R65 compliant. The LED Traffic Arrow module is a self-contained warning system designed to direct traffic approaching from the rear of a stationary vehicle. 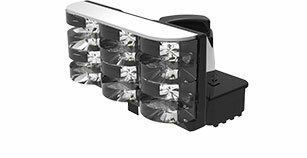 Featuring a total of 36, 3W LEDs and 9 flash patterns, this compact light-stick is mounted outside the lightbar enclosure to allow maximum options within the lightbar itself. It is operated via the keypad controller independently from the internal warning modules. SAE Class I. Order online and put it together yourself at home or come pick it up here and let us put it together for you while you wait!